I do love hanging out at the CD table after gigs. I am always moved to laughter and tears by your stories - the connection that the music gives us. Like old friends, - I guess I've been doing this long enough that we really are. Last Saturday in Wilmington, a giddy sweet couple waited 'til the end. It was his Birthday. Melissa had gotten Carl the tickets. 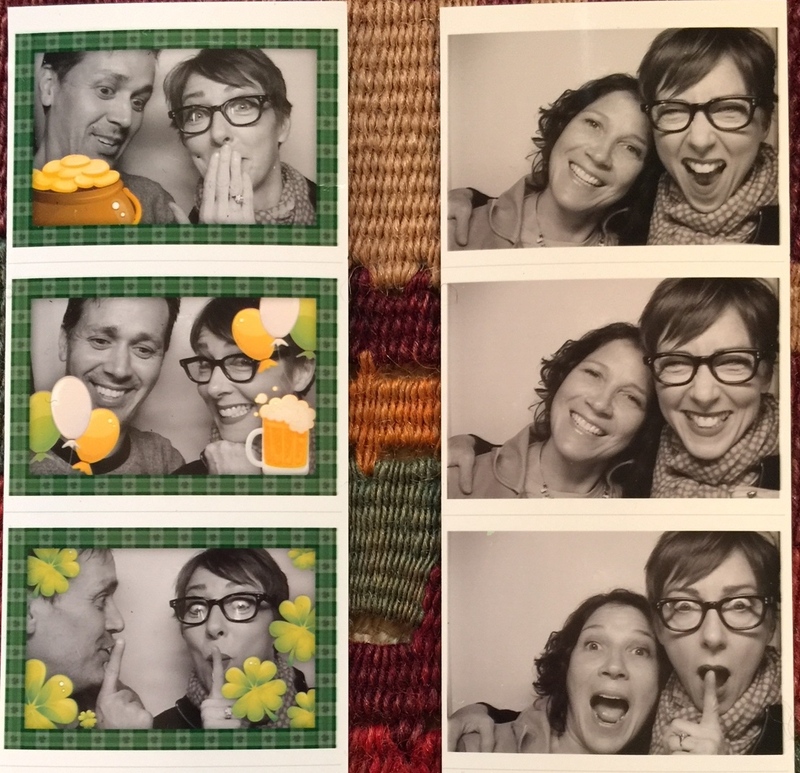 Part of the surprise was that she'd promised him photo-booth shots with me in the booth by the merch table. I was happy to oblige. We pushed the St. Patrick's day embellishment button by mistake so we got a pot of gold, beer and four leaf clovers all over our photos. Of course, I had to get Melissa get in on it too. We didn't get the doodads. 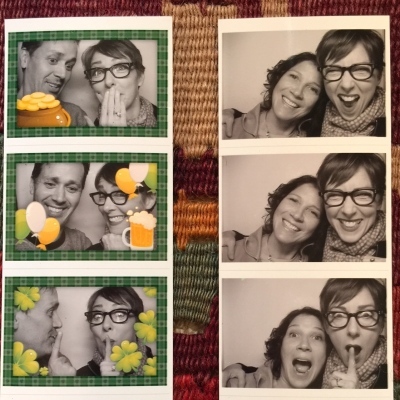 But our cameraderie that night brought home this feeling of connectedness that has been growing ever since I created "4 Noses" and you helped me bring it to life. More and more, in such lovely and spontaneous ways, you, the fans and listeners are the label, the marketing team, the support system, my friends. It is a gift I cherish. So, as I mentioned on the road. (and thank you for your amazing enthusiam!!) I'm in the middle of creating another record: "Midnight. Hallelujah." and would love your help to bring it to life. I'm launching a new Pledge Music Campaign at the end of the week. Your support will kick off the next round of recording in Ft. Wayne, Indiana at the gorgeous Sweetwater Studios. We'll be fliming and photographing, sending you updates from the fabulous A room! I just can't wait. So I hope you'll join me on this next new adventure. As ever. THANK YOU for your support.